● The Hybrid features the new Subaru StarDrive Technology that uniquely integrates electric motors, a 2.0-liter direct-injection SUBARU BOXER engine, Subaru Symmetrical All-Wheel Drive, and a new Lineartronic (Continuously Variable Transmission). 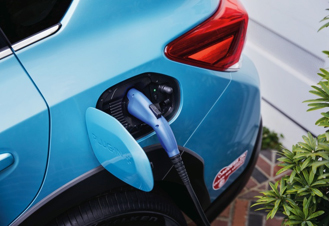 Tokyo, November 20, 2018 – Subaru Corporation has introduced its first-ever plug-in hybrid vehicle, the Subaru Crosstrek Hybrid, in the U.S.
With the automotive and aerospace businesses as the pillars of operations, Subaru defines “the earth, the sky and nature” as its field of business, and therefore, preservation of the ecosystem of the environment is of importance at Subaru to act as a business organization. In terms of the products, Subaru aims to “develop and deliver products to meet societal needs and contribute to the environment through advanced technologies” in the environmental policy. 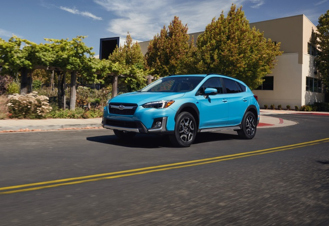 Offering real all-wheel capability in a hybrid package, the Subaru Crosstrek Hybrid is a highly anticipated SUV that embodies the company’s environmental vision. The brand’s first-ever plug-in hybrid vehicle, the Subaru Crosstrek Hybrid, provides the enhanced environmental performance to meet the social needs while keeping all the capability and versatility of the standard Crosstrek. With a combination of superior driving dynamics and improved environmental performance, the Crosstrek Hybrid offers a new “Enjoyment and Peace of Mind” driving experience that conventional gas-powered models cannot match. Subaru Crosstrek Hybrid will go on sale at U.S. Subaru retailers by the end of this year. ・The same superior safety as gasoline models based on SUBARU’s distinct comprehensive safety philosophy, encompassing technology aimed at ensuring safe driving everywhere, and not only in the unlikely event of an accident . <Length×Width×Height> 175.8 × 71.0 × 62.8 in. Min. road clearance 8.7 in. Bore x Stroke 3.31 in. × 3.54 in.